This tiny sushi shop, located on a side street close to Oimachi Station, serves deliciously fresh sushi at prices that make you wonder how they can ever make a profit. 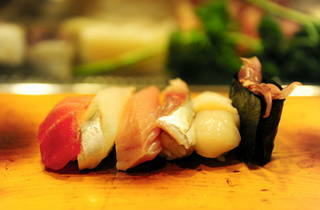 Egg nigiri are ¥40, ika (squid) goes for ¥60, tobiko roe for ¥80, and even standard choices like tuna and scallops are ¥100. No item here costs more than ¥200, and while the rice amounts are paltry, the seafood is standard-sized and maintains excellent quality across the board. 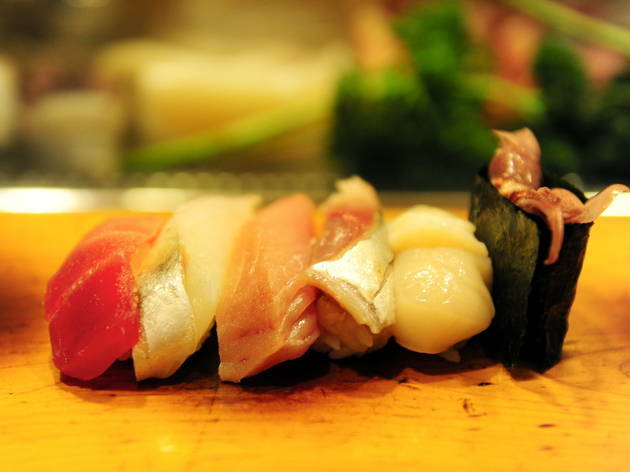 Forget the conveyor-belt chains – this is where it's at for cheap sushi in Oimachi.